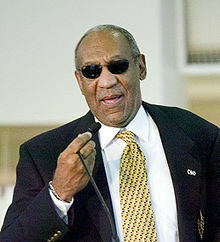 America's favorite dad, Bill Cosby, weighed in on the Trayvon Martin case and America's love affair with guns. Mr. Cosby, a Navy veteran, said “the gun” empowered Mr. Zimmerman, whose actions have stirred a firestorm of debate, protests and remarks from President Obama. Yeah, don't worry about that pesky 2nd Amendment! Without a gun, I don't see Zimmerman alive.